Explore love, dating and starting off on the right foot of marriage with author of 'The Sacred Marriage'. What if you stopped looking for a "soul mate" and started looking for a "sole mate"-someone who will live out with you the great purpose of God? What if dating isn't about finding "the one" but making a wise choice so you can better serve the One who loves you most? What if God didn't design relationships to make you happy but to make you holy? In The Sacred Search, Gary Thomas will transform the way you look at romantic relationships. Whether you are single, dating, or engaged, Gary's unique perspective on dating will prepare you for a satisfying, spiritually enriching marriage even before you walk down the aisle. As Gary reminds us, a good marriage is not something you find-it's something you make. 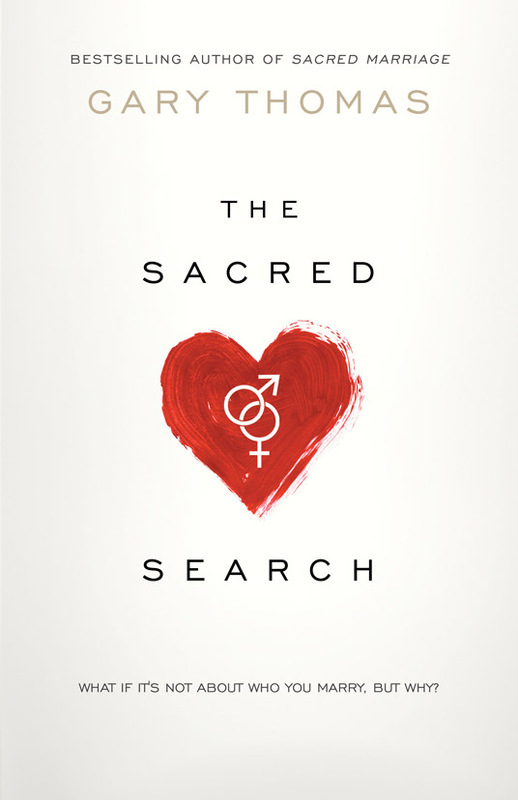 The Sacred Search by Gary Thomas was published by David C Cook in November 2014 and is our 6476th best seller. The ISBN for The Sacred Search is 9781434704894. Be the first to review The Sacred Search! Got a question? No problem! Just click here to ask us about The Sacred Search.